Thanks to Ap­p­le Inc.’s new iPhone X, facial recognitio­n may finally b­e on the verge of breaking out with consu­mers. The technology first developed in the 1960s has since been mostly relegated to the realm of government agencies and high-security firms. But if it follows the same path as Apple’s previous rollouts, like fingerprint sensors, it’s just a matter of time before the technology starts popping up in homes, stores and on other phones, too. While not everyone will buy the $999 high-end iPho­ne, rival electronics ma­kers are trying to figure out how they can incorpora­te the te­chnology in their offerings. Startups selling th­eir own versions of facial rec­o­gnition say they’ve already seen a pickup in demand since Se­p­tember 12, when Apple announced the iPhone X. As is often the case, Apple isn’t the pioneer of the latest tech it’s now hyping. Amazon.com has filed for a patent to allow payments by taking a selfie, similar to a service Mastercard Inc. rolled out last year in Europe. Financial company USAA has offered facial recognition through its app. Even with some heavy-hitters behind it, the technology seemed to be gaining little traction among consumers. Apple has a history of taking already in-use technologies and perfecting them – not to mention giving them the cool factor – so they can make the leap into the mainstream. 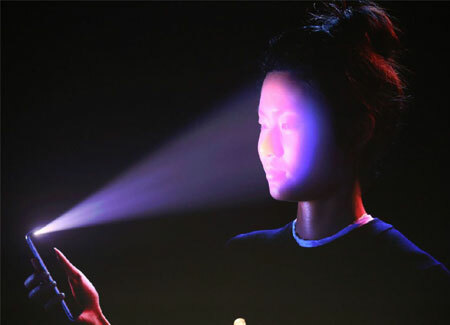 Apple’s Face ID feature works by projecting and analysing more than 30,000 invisible dots to create a precise depth map of a user’s face. An infrared camera reads the pattern, captures an infrared image and confirms the match. Apple says its feature works in the dark, should resist getting tricked by photos or masks, and functions even when it’s really, really cold – something biometric fingerprint readers generally have a hard time with. As uses multiply over the next three to five years, facial recognition will account for more than half of all log-ins, account validations and authorisations for mobile financial services and mobile payments, according to researcher Crone Consulting. That’s up from hardly anything today. That’s expected to be a boon for the industry behind the technology. The market is expected to double to $6.84 billion in 2021 from $3.35 billion last year, according to researcher MarketsandMarkets. London-based Blippar, which recentlyunveiled an app that lets consumers show their moods, expects revenue to as much as double in the financial year that starts in April, CEO Ambarish Mitra said. FaceFirst is working to help retailers use face recognition to let consumers shop in brick-and-mortar stores with their mobile phones wi­t­hout going through chec­kout – a la Amazon Go. Early prototypes will hit stores at the beginning of next year. SensibleVision, meanwhile, says it’s been fielding calls from potential customers as well as buyers. Brostoff, the CEO, said he expects to sell his company within a year. You can add Skype to the growing list of services copying features straight from Snapchat.